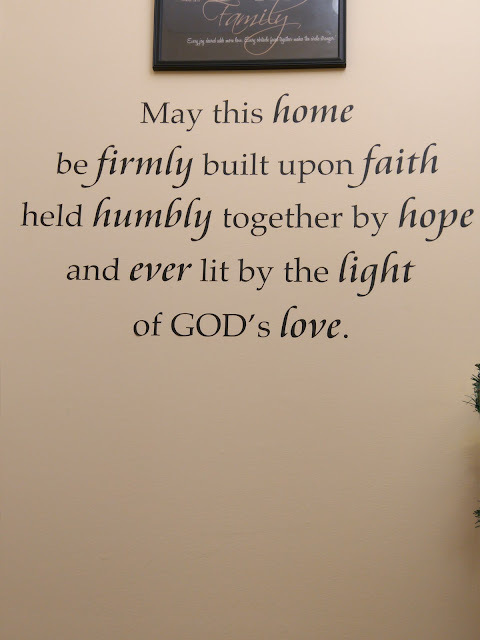 If you are looking for a quick way to remodel your home for the holidays or if you are looking for a way to give your home a quick facelift, check out one of my favorite ways to do that - using wall quotes or wall decals! 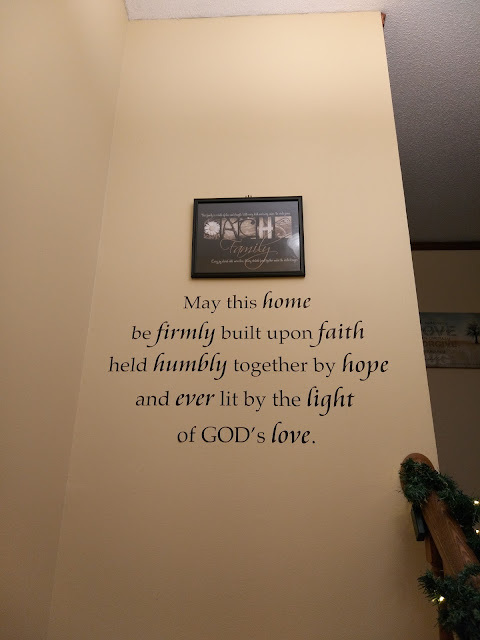 One of my favorite wall decal companies is Wall Quotes and their mission is to create the highest quality vinyl decals and designs - the perfect accessory for any room in your home, office, church, or school. They offer a spectacular collection of traditional and classic vinyl Wall Quotes™ decals, as well as fresh, fun, and modern vinyl decals and vinyl subway art. Their wall decals designs range from single powerful words to detailed and creative wall sayings and are divided into easy-to-browse categories. 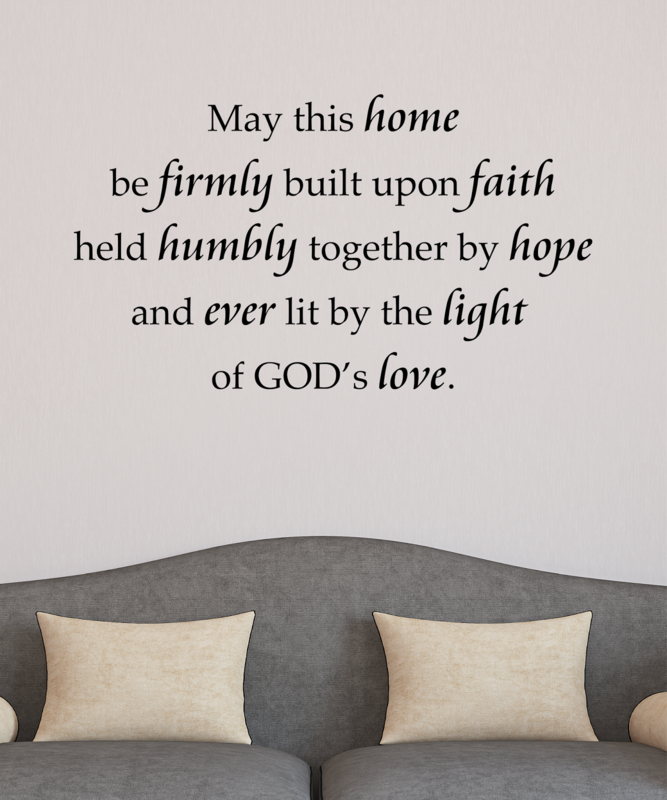 Affordable and easy to apply, these Wall Quotes™ decals are also so well designed and carefully crafted that you’ll never have to compromise your style, function, or budget. Seriously – they’ve got the right vinyl wall decals for every room in your house – and then some! And if you have a custom project in mind, they're delighted to help! I was looking for a great wall decal to put up in my entryway as a blessing to all those who enter our home! I found the perfect one from WallQuotes.com - the Home Built On Faith Wall Quotes™ Decal! It was up in minutes and I LOVE the way it has given our entryway a facelift - just in time for the holidays and holiday guests! 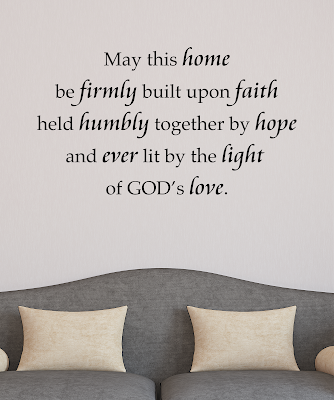 You can purchase all Wall Quotes wall decals from their website. WallQuotes.com is generously offering (1) decal of their choice to a lucky winner! I love the quote you chose!! It looks beautiful .